In 2000, CDex became a free software project on SourceForge.net. It released CDex 1.70 Beta 1 on June 5, 2006, after 3 years in hiatus. On June 23, 2006, it released CDex 1.70 Beta 2. On November 18, 2009, it released CDex 1.70 Beta 4. On June 29, 2014, CDex 1.70 Final features a Unicode and multi-byte version. Since 2005, CDex has not released any source code. Originally developed by Albert Faber, it is now maintained by Georgy Berdyshev. 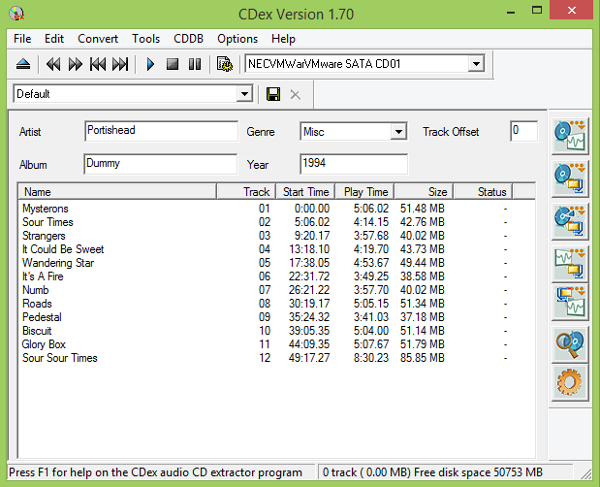 CDex is an Audio CD data extractor. Known as CDDA utility or CD ripper, it can extract data to a plain WAV file for compiling audio CD. The extracted data can also be compressed using MP3, AAC, OGG, FLAC, or WMA audio encoder. Also, CDex is able to convert WAV files to a compressed audio file, and vice versa. 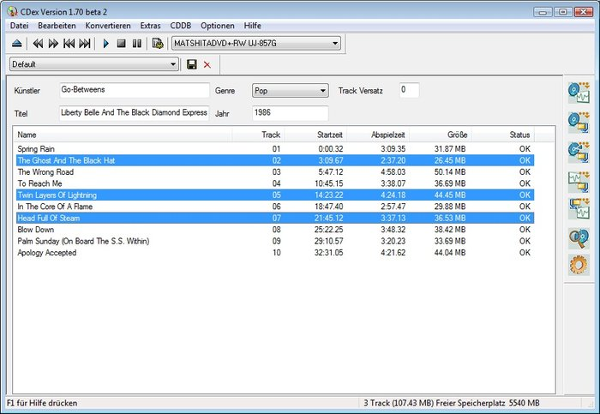 It supports different audio file formats such as ID3V2 and ID3V1 tags. It can record different tracks directly. 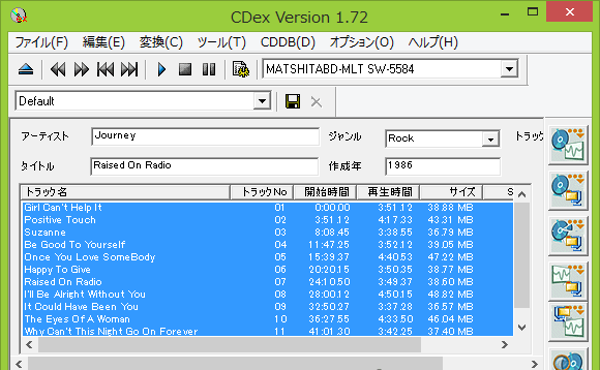 Also, it can access and store album information to and from the .ini file of the cdplayer. This data extractor is also capable of reading and storing album information to and from a remote and/or local CD database. It supports CD to text, and advanced jitter correction. It is able to indicate jitter control and track progress. It is capable of normalizing audio signals. CDex supports different CD-Drives from various manufacturers. It can convert external WAV files. It supports PLS and M3U playlist files. It is free and is available in different languages. 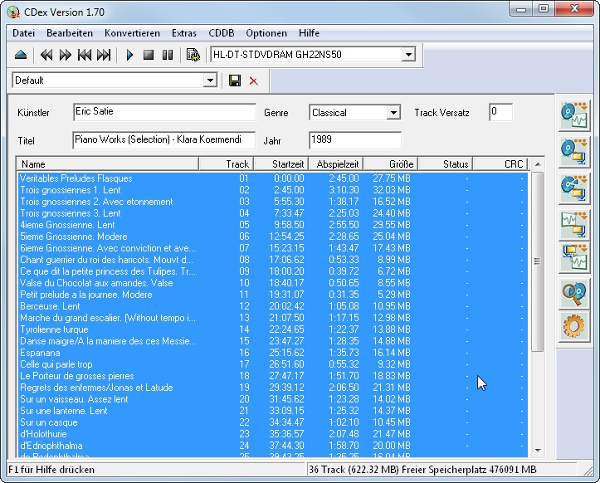 CDex audio data extractor supports different Windows OS versions, from Windows XP to Windows 10. This CD Ripper is also easy to download. The instructions are easy-to-understand. It will only take at most 5 minutes to download it to a computer. After installing, CDex is ready for use. CDex is available in German, Spanish, Italian, and English. It is free to use with a GNU General License. It means that users can copy and distribute it as is. What do you think about CDex?